If you have ever struggled with a condition like Crohn’s, colitis, or Irritable Bowel Syndrome (IBS), you have likely suffered a tremendous deal. Not only are these conditions painful, they can take away part of your life at times because it feels as if you have to structure your day around bathroom breaks, bouts of pain, abdominal discomfort and bloating which may have affected your sleep, and more. Unfortunately, these can all interfere with your ability to work and complete daily tasks.These conditions inflict all types of people, both young and old, active and inactive, and it does not discriminate against gender. Unfortunately, there is a lot of misinformation out there about Crohn’s, colitis, and IBS, which leaves people confused and prevents true healing. These conditions are still a mystery in the medical field. Doctors and other health professionals are unable to explain exactly why the symptoms are occuring. Often, the best answer a health professional has for someone is that there is inflammation in their colon and their body’s own immune system is attacking the gut. Sometimes certain foods, like gluten, or something inside foods, like lectins, will be blamed. But inflammation and these foods are not the cause (discover the truth about lectins in this Truth About Lectins radio show). There is something else going on that’s causing the inflammation that medical communities aren’t yet aware of. There are so many trendy diets that claim to be revolutionizing the way we eat and how healthy we can be. However, if anyone were to take a closer look, they would notice that almost all of these diets are essentially the same thing with a small twist. Most of the trendy diets presented today are extremely high in fat, regardless of whether they’re an animal protein based diet, vegan diet, or vegetarian diet. What they all have in common is that they’re high in fat. The twist all of these diets take may be a vitamin they sell or a more heightened focus on a particular food, but they are very similar. Because these trendy diets rightfully remove highly processed foods and include more vegetables, some people do experience benefits in the beginning. When this happens, we have to consider what diet someone was coming from in order to experience such a change. Perhaps your poor digestion was improved slightly, you said goodbye to your runny nose, or you lost some weight. However, these trendy high-fat diets are not going to aid you in true healing long-term when you’re dealing with a chronic illness. They’re just a temporary band-aid. The biggest reason trendy high-fat diets do not work for deep chronic illness is because they simply do not contain enough fruit. In fact, all of these diets are unanimously against fruit, even though fruit is the most important food for someone trying to heal from a chronic condition, including Crohn’s, colitis, or IBS. This attack against fruit has resulted in many people now having fruit fear, where they believe that eating any more fruit than a handful of berries or a green apple is unhealthy or ill-advised. To understand more about how this fruit fear has arisen and why it’s so detrimental to your health and the health of your loved ones, listen to my Fruit Fear radio show. Science and research has barely tapped the surface of the healing powers of fruit because there is simply no money to be made in fruit. If you or someone you love suffers from severe chronic digestive problems and have tried absolutely everything and nothing has worked, there are answers for you here. It’s likely that if you’ve tried one of the high-fat, high-animal protein diets that are trendy today, your symptoms have persisted to some degree, even if they improved at first from cutting out processed foods. The same would be true if you eat a vegetarian or vegan diet but get most of your calories from high fat foods like eggs, dairy, oils, soy, nuts, and seeds. High-fat diets of any kind burden the liver enormously and most of us come into this world with an already burdened liver (more on this in my book, Liver Rescue). Your first question may be why we are discussing the liver when your symptoms are in the intestines. The answer is that Crohn’s, colitis, and IBS all begin in the liver. Medical science and research don’t know this truth. If you want to get to the root problem of your gut and digestive issues, it’s essential you bring your focus to the liver and learn how to truly support this incredible, hard-working organ. For in-depth information on how your liver works that hasn't yet been discovered and the critical steps needed for healing, check out my book, Liver Rescue. You can begin looking at how our bodies were designed to eat by examining the macronutrients in breastmilk. Breastmilk is the perfect food for babies, as well as an excellent indicator for how we should be eating for the rest of our lives. Breastmilk is made up of almost all sugar with a very small percentage of fat and protein. There are so many incredible carbohydrates in breastmilk that science and research have yet to discover or look into. The key understanding here is that breastmilk is extremely low in fat. As children become adults and begin to consume more and more fat throughout their lives as they age, problems begin. And it all starts in the liver. Common foods for children include cheese, eggs, pork, fried food, chicken, steak, ham, milk, yogurt, hot dogs, bacon, and foods cooked in oil, all which are extremely high in fat and cause the liver to become more and more overburdened. When there is too much fat in the liver, it sets the stage for Crohn’s, colitis, and IBS, as well as constipation, bloating, and SIBO. It also provides a great environment for pathogens to thrive. When the liver is overburdened with fat, it cannot produce the amount, or indeed the quality, of bile that it needs to. This is essential to understand because our livers need to continue to produce strong bile in order to kill off and contain the pathogens we inevitably inherit or contract over our lifetimes. If the quantity and quality of bile is compromised, your health will also be, and it will only continue to get worse with time unless you take the right steps to detoxify and heal your liver. The pathogens in our bodies are either inherited from our parents, grandparents, great grandparents and beyond, or they are picked up simply from being out in the world. Viruses and bacteria go into the liver, which tries to contain them and kill them off with the liver’s own powerful immune system, which medical science and research doesn’t yet know exists, to keep us safe from them. However, if the liver is unable to do so because it is too overburdened, the pathogens can then go into the gut and create the symptoms of Crohn’s, colitis, and IBS. On high-fat diets, your liver’s bile production is dramatically weakened so that it cannot do its job of killing off the viruses or bacteria before it goes into your gut and makes a home there. In fact, livers can become stagnant even in young children due to inherited toxic heavy metals that sit in the liver and interfere with bile production. I cover this and the many other troublemakers that cause the liver to become overburdened in Liver Rescue. When the liver is sluggish due to a diet high in fat, along with having to harbor other dangerous toxins you’ve been exposed to, hydrochloric acid is also weakened because the stomach relies on the liver’s bile production to support it and stop pathogens from entering up into the stomach. Hydrochloric acid is vital in the discussion about these conditions because the special seven-blend I brought to light in my book Medical Medium, which science and research has yet to discover, is able to kill off pathogens as they enter the stomach from the mouth or up from the gut. This means the pathogens can’t travel back down into the intestinal tract and colon again. By killing off the pathogen before it reaches the colon or small intestinal tract, the hydrochloric acid is preventing colitis and Crohn’s, respectively. When the liver is not doing its job because it is exhausted, the pathogen does not merely travel to the intestines and then pass through. It has the chance to settle in and make a sort of nest in the linings. It is still alive; however, it may not become active or cause symptoms until later in life. This is why sometimes Crohn’s, colitis, and IBS does not occur in someone until they are older. Once we understand that diets high in fat, which are also under the name of high protein, are interfering with the liver’s bile production, as well as gastric juices and hydrochloric acid, we must also discuss how fat exists within the intestinal tract itself. Pathogens are not being killed off and so they have the opportunity to nestle into the gut linings. This is what is causing inflammation, especially as the viruses and bacteria begin to move through its various stages and produce neurotoxins. Medical communities don’t yet understand how viruses work so you won’t find this information anywhere else, therefore it’s critical to get familiar with the information I share here and in my books so you can help yourself and your loved ones heal. Fat plays a very specific role in this scenario. The fat that we consume, especially that of animal protein, is quite difficult to digest in the first place, let alone when we consume such unnaturally high amounts of it. The linings of the intestine become smothered with thick layers of fat that harden and eventually go rancid, making the home for pathogens that much more habitable. Pathogens prefer to hide in fat-laden intestines because they can burrow in deep and stay there for long periods. When someone’s intestines are not loaded with fat, pathogens have a much harder time of getting stuck and causing problems. Something still unknown in science and research is the all-important truth that pathogens actually eat food, and there are some foods pathogens like better than others. This is critical because when you know what pathogens like to eat, you can begin to starve them of their favorite foods, which will then strip them of their ability to grow and proliferate. While it is thought that certain foods like gluten and dairy cause inflammation, those foods are actually feeding the pathogens that then cause the inflammation. This is a critical difference that’s essential to understand. Some of the foods that feed pathogens are gluten, eggs, all forms of dairy, corn, soy, canola oil, and toxic heavy metals and other toxins. You can read a full list in my book Thyroid Healing or Liver Rescue. Avoid gluten, eggs, and dairy if you are suffering from Crohn’s, colitis, and IBS. It would also be very helpful to include the five heavy metal detox foods I recommend into your diet everyday: cilantro, wild blueberries, Atlantic dulse, spirulina, and barley grass juice powder. These five foods work together in synergy for the only truly effective heavy metal detox. If you would like to learn more about the heavy metal detox foods as well as try out a smoothie recipe that includes all five, see the Heavy Metal Detox Smoothie article. While not every case of colitis is the same, in truth it is caused by a viral condition that both medical and alternative health communities are unaware of. In fact, the term colitis is often used when medical doctors are unsure of how to diagnose someone’s symptoms. For them, colitis is essentially a term that means your colon is in crisis. These days it is quite common for health professionals to blame colon issues on the autoimmune theory that your body is attacking itself. However, this autoimmune theory is exactly that - a theory, and a misguided one at that. To find out the truth about autoimmune diseases and why your body has never and will never attack itself, read the Autoimmune Confusion chapter in Thyroid Healing. Colitis is not caused by your body attacking itself. It is an undiscovered viral condition. Specifically colitis is caused by a herpetic virus, one of the undiscovered 31 varieties from the shingles family that I brought to light in Medical Medium. This virus nestles into the colon and feeds off of foods like gluten, eggs, dairy, soy, corn, and canola oil, all while hiding behind the rancid fat in the linings of the intestine. The shingles virus then proceeds into a later stage of harm where it releases neurotoxins, which then also get trapped in the fat, irritating and inflaming the colon. Even when the fats break off and leave the intestines, the colon lining is so inflamed and irritated that the virus itself can eat away at intestinal cells. This is when someone may notice hemorrhaging. Just as with colitis, not every case of Crohn’s is going to be the same. In truth, there are even more possibilities as to the answer for each person’s condition. Crohn’s can be viral, bacterial, or both. If the condition is viral, it could be caused by Epstein-Barr Virus (EBV), which is a virus I have written about at length in all my books, especially Thyroid Healing. If the condition is bacterial, the specific bacteria is streptococcus. Crohn’s in particular has a large amount of toxic heavy metals at play in the small intestinal tract, especially mercury. The pathogens or toxic heavy metals, or the combination of all of these factors, create a chronic inflammation that is highly uncomfortable and often painful. However, regardless of what specific variety of Crohn’s, or colitis or IBS you are struggling with, the plan of attack for healing is essentially the same. Irritable bowel syndrome is a common diagnosis many receive from doctors and health practitioners when they report almost any gut-related symptom such as poor digestion, gut and intestinal pain, bloating, constipation, diarrhea, and so forth. In truth, IBS occurs when the colon is lined with waste products from pathogens such as streptococcus and E. coli, rotting food that wasn’t digested properly due to low bile and hydrochloric acid production, and ammonia gas. 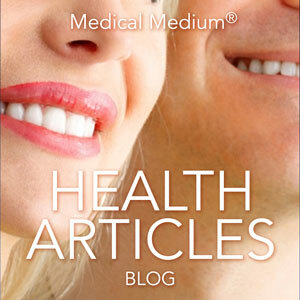 For more on ammonia gas, read Medical Medium. The more fats and unhealthy foods in the diet, the worse the IBS symptoms will be. For an in-depth explanation of each of these mystery conditions, including how to heal them, check out Liver Rescue. While the focus needs to be getting the liver back in healthy shape, it is not wise to jump onto a trendy liver cleanse you may hear about. Unfortunately, the liver cleanses available today are not helpful and in most cases are actually harmful. No one truly understands how the liver works, nor how to cleanse it, so these cleanses often aggravate the liver even further and make the symptoms that much worse. 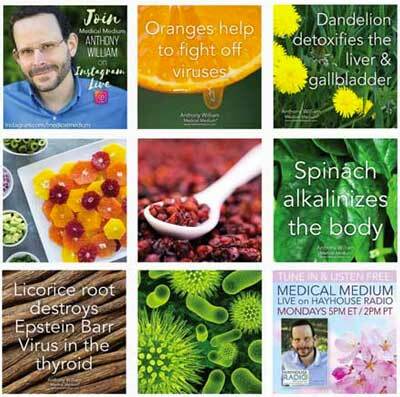 However, I do have a 28-day cleanse in my first book, Medical Medium, that is gentle on the liver and deeply healing. It does not assume you can force your liver to cleanse itself in a matter of days like the liver cleanses you will find available today. The 28-day cleanse in the book is helpful for all chronic conditions and can be especially helpful for those with a chronic digestive condition. It can be done for an extended time if desired also. The guidance I share in Liver Rescue would be especially helpful also for these conditions. It is considerably popular these days to talk about leaky gut syndrome; however, this too is a mystery and misunderstood condition. If someone truly had leaky gut, meaning a perforation in the intestinal wall, that person would be suffering severely. They would have a high fever and would be laying in the hospital due to a serious infection. Do not become confused from articles online that try to convince you that you have leaky gut syndrome. Rather, if you are experiencing digestive issues, focus on the advice given here. What is actually behind many cases of misdiagnosed leaky gut is ammonia permeability, a condition I brought to light and explain in Medical Medium. The first thing you need to do when healing from one of these conditions is to lower your fat intake. Lowering the fat in your diet, no matter what type of diet you subscribe to (whether you like animal protein, are vegetarian, or prefer a plant based diet), will give the pathogens less of a chance to proliferate and you a greater chance to heal. If you eat animal protein, try to lower it to once a day, simply because it is inherently so high in fat. Even chicken breast, which is often touted as a lean meat, is loaded with fat and should be reduced or consumed minimally or avoided while healing. Pork, eggs, and dairy should be avoided altogether as I explain in my books. If you eat a vegan diet, lower the amount of nuts, avocado, oils, and coconut you consume as these foods are also high in fat. Now that you are aware how much the liver plays a role in these conditions, you can focus on building up the liver’s strength and bile reserves. Celery juice is an absolute miracle when it comes to healing from Crohn’s, colitis, and IBS because it builds up the bile salts that serve in killing off the pathogens causing the condition in the first place. The cluster salts in celery juice also do wonders in removing the toxins created by the pathogens by systematically binding onto them and pulling them out of intestinal tract. These salts are a gift to you and a poison to pathogens because they strip off a pathogen’s membrane shield. Read more about celery juice on the blog. Bananas are another miracle food and should be eaten in abundance when healing from Crohn’s, colitis, or IBS. While some health professionals will advise you to stay away from bananas completely, they are giving you incorrect information. Bananas, when properly ripened with no green at the tip and a few brown spots, have powerful anti-pathogen properties that can aid you in your healing tremendously. Maradol papayas are another powerful fruit that can be incredibly helpful for those suffering. If you do not like papayas, you likely have not had a good one. Talk to the people who work in the produce department of your grocery story about how to pick a good papaya and when is the best time to eat it. If you cannot find good papayas at your regular store, try visiting a local Asian grocery store. Those stores often have an abundance of good fruit that never makes it to conventional stores. Additionally, if you have been told that you are allergic or intolerant to fruit, or if you experience discomfort when eating fruit, check out my Fruit Fear radio show to have a deeper understanding of this. In reality, fruit is the number one food that should be consumed when suffering from chronic digestive conditions. It would be a shame to continue suffering by avoiding fruit when this food is actually safe and in fact healthful to consume. Some other things you can incorporate include making aloe water daily by scooping out the gel from the leaf and blending it with water. You can also consider taking antiviral and antibacterial supplements like alcohol free cat’s claw, licorice root or licorice tea, and lemon balm to give your immune system an extra boost to fight off the pathogens. Also, try drinking high quality coconut water, incorporate cucumbers into your diet, and try steamed potatoes or sweet potatoes for dinner. These are simple but healing foods to get you started healing. Also, be sure to read Thyroid Healing and Liver Rescue for more information that can help you understand your condition and how to heal. 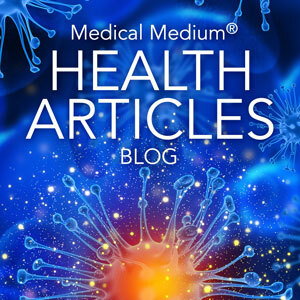 If you have found this article and now know that your chronic condition is actually related to a pathogen and overburdened liver, you are already halfway toward your destination of true healing. Now that you have a greater understanding of your condition, you can begin to lower your fats and drink your pure celery juice to build up the liver. You can include more and more fruit into your day while eating less and less gluten, eggs, dairy, corn, soy, canola oil, and pork. Wake up each day with the decision to make at least one healthy choice that will bring you closer to healing. And remember that I am here for you every step of the way. This article will be here for you if you need to refresh your memory or remind yourself why you are making those healthy steps. I am so proud of you and I believe in you. It might come as a surprise to you that there are no two kinds of bipolar disorder that are the same. The same is true for anxiety and depression. Each person experiences symptoms differently, which makes it that much harder to understand. In truth, this disorder is so difficult to understand that its name is not really appropriate at all, especially if you understand the true cause of all the symptoms. The name bipolar was given because the episodes people experience reflect two opposite extremes. They are either up or they are down. However, this is not a true expression of the disorder because it implies that one day someone is low and depressed, and the other they are high and manic. If you or someone you know has bipolar disorder, you will be aware that this is not necessarily a true representation of this condition. Furthermore, there are so many different levels of bipolar disorder that it is impossible to classify each one properly. The only way the medical community knows how to classify the levels are from mild to severe. However, bipolar disorder is so unpredictable that it may hit one unassuming person radically one day and then creep up slowly over the years for someone else. This is due, as I will explain further, to the triggers that occur in one’s life as well as what is happening to the brain after the triggers happen. But these are not the cause, simply the triggers. In all cases of bipolar, there is an underlying cause that medical communities are unaware of. First of all, we have some amazing neurosurgeons today that have developed and regularly perform life-saving procedures, and for that I am very grateful. For example, there is a surgery that miraculously removes aneurysms from people’s brains, saving many people from premature death. I have immense respect for how far we have come in various areas. However, when it comes to the majority of chronic illnesses, research and science are woefully behind. This may sound hyperbolic, but research and science essentially know very little when it comes to what is going on in the brain. Because it is not an area of the body science and research can effectively probe and study, there is very little progression in the study of conditions of the brain. Unfortunately, due to this lack of progression, we are in the same place we were many decades ago in understanding bipolar disorder. In the 1950s, mostly women, but some men as well, were filing into doctors’ offices complaining of depression and extreme mania, to which the medical professionals could only shake their heads because they had no idea what was causing such symptoms. Since most of the patients were women in their late 40s and 50s, doctors’ first reaction was to blame menopause. In fact, those who were deep in research and medication development were in the process of creating synthetic hormones and were just about to put them on the market. So, when people started having symptoms now referred to as those of bipolar disorder, doctors blamed hormones. This made it vastly simple to turn around and prescribe the hormone medications they were primed to release. More than half a century later, science and research has the same exact answer for the cause of bipolar disorder: hormones. This lack of progression has caused many to continue their suffering for so many years and prevented healing from this disease. In recent years, they have tacked on environmental issues and trauma to the list of causes, which is some advancement; but these are mere triggers, not actual causes. A common theory for an answer for bipolar disorder is a chemical imbalance in the brain. The truth is, however, that it is impossible for the body to naturally disrupt its own chemicals and cause an imbalance when there are no outside factors. There is an actual tangible substance that is disrupting the brain and its mental functioning. The answer is toxic heavy metals. Research and medicine stay away from the discussion on toxic heavy metals. There is little to no conversation about them in medical communities, let alone in relation to how they cause mental disorders. There is so much controversy surrounding heavy metals that scientists do their best to neglect them altogether. As a result, medical communities are completely unaware of just how many illnesses toxic heavy metals play a role in. Toxic heavy metals are present in petroleum, plastics, antibiotics, and countless other drugs so it is no wonder science and research ignore them. The idea that the very things doctors are prescribing for healing and managing diseases contain ingredients which are harmful would be damaging to the pharmaceutical industry. Toxic heavy metals are also in our water supply, falling out of the sky, and found in a multitude of other places. If you could examine the heavy metals in the brains of those who have bipolar disorder, you would begin to see why this disease manifests itself so differently in each individual. Heavy metals of all kinds, including copper, mercury, lead, and aluminum, find their way into the body either at conception, during pregnancy, at birth, or afterwards. People can also get heavy metals later in life from pesticides, which contain heavy metals, the metals in kitchenware, old copper pipes, and many other sources. Heavy metals are passed down generationally, which is one reason why children can have heavy metals in their systems when they are so young. This truth is still unknown to medical communities and science and research. It’s critical to understand how these toxic heavy metals can impact you and your loved ones and be contributing to chronic illnesses, which is why I addressed them in my books Medical Medium and Life-Changing Foods. On their own these metals are poisons. What is worse is that they tend to oxidize, causing even worse problems, such as toxic runoff that damages any tissue in its path and disrupts the path of electrical impulses. Sometimes the heavy metals oxidize quickly in people’s brains; at other times, it takes a bit longer for the metals to oxidize. Additionally, there is the factor of where the heavy metals have made a home in the brain. They could be in the frontal lobe, by the pituitary gland, in the cerebral midline canal, or scattered about. Toxic heavy metals are also a food for viruses and bacteria, a truth that medical science and research are not yet aware of. When viruses and bacteria eat toxic heavy metals, they excrete neurotoxins, which can worsen the condition of someone with bipolar or another condition caused by toxic heavy metals. All these factors and more (to come below) play a part in someone’s neurological health and why no two people can have exactly the same bipolar. When someone has deposits of heavy metals in the brain, it disrupts the proper functioning of electrical impulses. Instead of running down a neuron in a smooth path of communication, the electrical impulse fires down a neuron on neurotransmitter fuel and runs into a heavy metal deposit as though it is a wall. As a result, the electrical impulses short circuit. And as the metals oxidize and runoff occurs, surrounding brain cells are damaged and more electrical impulses are short circuited. This is what is happening with someone who is diagnosed with bipolar disorder. As you can now understand, there is much more to this condition than science and research have discovered yet. It’s critical to understand the difference between the underlying unknown cause of bipolar that I revealed above and its triggers. Just because someone has heavy metals in their brain does not mean they automatically have bipolar disorder. There needs to be a trigger first. Without a trigger, the metals can remain cool and calm inside the brain, not causing much trouble. The trigger can be any sort of emotional experience that sends adrenaline to the brain. A childhood trauma, a sudden death of a loved one, a car accident, a divorce, or other devastating news can all be examples of traumatic events that push massive amounts of adrenaline to the brain. Sometimes the emotional event triggers the bipolar disorder immediately. At other times, it takes a bit longer and isn’t recognized until many months or many years later. To help manage the release of excess adrenaline, especially when someone is going through a difficult time, it’s critical for someone with bipolar to employ the adrenal grazing method I outline in my book Medical Medium where you snack every one and a half to two hours on the right kinds of foods. Another example of a trigger could be getting mercury fillings removed all at once. While this may seem like the best thing to do for your health, it can lead to an extremely high level of exposure to mercury, regardless of the protective measures a dentist goes to to protect you. IIt is better to remove only one at a time months apart from another, if at all. This is something I also talk about in my book Medical Medium because so many well-intentioned people do it but it’s critical to know how it can trigger more health issues, including bipolar. What people do not know is that when you are facing a difficult situation, you can experience an emotional storm in your brain. When I use the word “storm”, it is not an analogy. There are actual storms inside our brains when we are full of emotion such as anger, confusion, and heartbreak. Emotion creates so much heat, like a fire and lightning storm swirling around the brain. Many people might be skeptical about how heated your brain can get just from emotion because the brain itself does not melt from emotional experiences. In other words, people do not die because they are angry. The reason is the brain has the incredible capacity to cool and protect itself against these storms. The worrisome aspect of these storms is what the heat does to the toxic heavy metals inside the brain. When you apply heat to metal, the metal becomes malleable and can run. And this is the same thing that happens with heavy metal deposits in the brain. These heightened emotional experiences can then be considered triggers because the heat melts the metals causing runoff, which as I said damages any tissue nearby. And the adrenaline that is being pumped to the brain during these emotional storms acts as gasoline, fueling the fire even further. These emotional triggers are heightened even further because there is so much confusion surrounding bipolar that people often feel very alone. They do not know why they are acting this way, and even more fear and anger heat the brain. The storm slams against the heavy metal deposits and alters them. Bipolar is not due to malfunctioning hormones. The only aspect of bipolar disorder that is related to hormones is the adrenaline that pumps up from the adrenals into the brain that contributes to the emotional storm that melts the heavy metal deposits. It’s also important to know that when someone has adrenal health issues, they can be misdiagnosed with bipolar disorder. What is actually happening is that when someone’s adrenals are exhausted, they can produce both too little or too much hormone for any particular situation. This can result in something like the massive mood swings in someone with bipolar. To find out more about adrenal fatigue, read the chapter on this topic in Medical Medium. This is another reason why the adrenal snacking technique I describe in that book is so important. It’s essential that medical communities become aware of this information so they know what’s really behind bipolar and how they can most effectively help their clients and patients. While emotional storms oxidize metals instantaneously, certain lifestyles and diets can have a slower effect. High fat diets have become extremely trendy over the years under the guise that carbohydrates are harmful for us. Trends like these low carb, high fat/high protein diets are not helpful for anyone suffering from bipolar disorder or other mental illnesses. The reason is because too much fat in the diet promotes oxidizing of the heavy metal deposits in the brain, which then causes corrosion. This creates a problem over time and short circuits the electrical impulses, which then causes more manic episodes. I must mention as well that someone’s high fat diet may not be due to following a trendy regimen. Most Americans and other Westerners who eat standard diets full of oils, meats, cheese, eggs, milk, and yogurt have an extremely high intake of fat. Therefore, keep in mind that a high fat diet may not be intentional, but rather an inevitable consequence of eating in the standard way. The same is true if someone is eating a plant based diet but they’re consuming a lot of oils, nuts, nut butters, soy, or processed vegan foods or eggs and dairy products if someone is vegetarian. It is common to talk about mental illness running in one’s family. In fact, most people assume that if there is evidence of depression or bipolar disorder in the family that the rest of the family members have the potential to develop such illnesses because it is in their genes. However, the reason mental illness often shows up in family lines is not because of genes. Genetics have absolutely nothing to do with it. To understand more about how illnesses are being inaccurately blamed on genetics, check out my chapter on this in Thyroid Healing. The reason is due to the way heavy metals are so easily passed down in family lines. If your father had bipolar disorder and your aunt has it and now you have just been diagnosed, it is not the fault of your genes. It is because of the heavy metals in your brain and environmental or emotional triggers. You don’t have mental illness in your family; you have heavy metals in your family. This is an important distinction because when a disease is considered hereditary, people tend to put up their hands in defeat and believe there’s nothing they can do about it. There is very little we can do to manage a disease if it is inevitable and in our DNA. However, when there is an actual cause that you know now, there is hope for recovery and healing. And that’s what I am here to share with you. The good news is there are ways to remove the heavy metals that are behind bipolar disorder. The most important step to take is to incorporate the five heavy metal detox foods I shared in Medical Medium and my other books into your life every single day. This is not any old heavy metal detox you might read about online or hear from your practitioner. There is a great deal of misinformation out there that can lead you to try something which doesn’t actually work. This detox, the Medical Medium heavy metal detox, does work. If you truly want to heal from bipolar disorder, these foods will help you get there. Cilantro, Atlantic dulse (a sea vegetable), spirulina, barley grass juice extract powder, and frozen or fresh wild blueberries (or wild blueberry powder if you can’t find fresh or frozen) all work together synergistically to safely and effectively carry out the heavy metals from your body like no other foods, practices or detoxes you might hear about do. While all of them are detoxifying foods on their own, the synergy of the five together is what ensures total elimination. Many people who have been incorporating these five foods have enjoyed the Heavy Metal Detox Smoothie because it is a simple way to get them all in at once and the five foods must be enjoyed daily within a 24 hour period of each other. However, if you prefer to consume these foods in other ways over your day, feel free to get creative. Find out more about the heavy metal detox on my blog. I will just make one note about the blueberries because many people get confused about which ones to buy. While cultivated blueberries have many wonderful benefits and health supporting properties, they are put to shame when compared to the wild blueberry. Wild blueberries are much smaller and have much deeper deep blue/purple skins. They are so packed with nutrients and healing properties that simply including these alone can be helpful if that is all that you can do today. Wild blueberries help remove heavy metals from the body, not cultivated blueberries. Wild blueberries are most commonly found in the freezer section of your grocery store, and, thankfully, they are available in most grocery stores around the United States these days. Be sure to buy the blueberries that are wild so that you can properly complete your five foods to detox from heavy metals daily. For any kind of disorder involving the brain, it is crucial to consume plenty of electrolytes from natural sources. Drinks like coconut water, fresh squeezed lemon or lime in water a few times a day, and pure cucumber juice provide vital electrolytes that help repair the brain and protect you from some of the effects of adrenaline being released. It is incredible what these simple elixirs can do for those who struggle with bipolar, depression, and anxiety. In fact, if you are with someone during an emotional experience, like getting bad news or being in an accident, and you have the ability to do something helpful, consider offering them one of these drinks instead of a simple glass of plain water. The electrolytes and glucose will help counteract the storm that is happening in the brain and protect and restore brain tissue. Another source of electrolytes is the right kind of B12, which contains both adenosylcobalamin and methylcobalamin. Mineral salts are amazing secret powerhouses for brain recovery. Drinking a glass of plain celery juice every morning can help you heal from the emotional storms you have experienced due to bipolar disorder. Many vegetables are high in mineral salts as well, especially spinach and other leafy greens. Healthy sugars from fruits are essential to healing disorders in the brain. As we discussed above, the brain is made almost entirely from glucose. If you starve it too long from the right kinds of glucose, you will be setting the stage for a manic episode to occur. This is why it’s so critical to focus on healthy high carbohydrate foods such as all fruits, potatoes, sweet potatoes, and winter squashes, as your main source of calories when healing from bipolar disorder. Some doctors may prescribe high protein, high fat, low carb diets and for some the symptoms may improve initially, but eventually an even bigger episode will occur because you are being starved of glucose. As I shared earlier, glucose is needed for the brain to cool down so that when another trigger happens it helps to protect your from the emotional storm happening in the brain. Triggers are inevitable because the only predictable thing about life is that it is unpredictable. While you can do your best to set up emotional boundaries and live a low-stress lifestyle, there will still be things that cause emotional storms and surges of adrenaline. This makes being prepared by getting your brain the food it needs to protect itself even more important. Instead of withholding these precious sugars from your brain, begin to incorporate more fruits, sweet potatoes, regular potatoes, raw honey, and winter squash. Bananas are one of the secret weapons against bipolar disorder and should not be underestimated. Dates are an amazing way to get glucose to the brain quickly. Try not to restrict your fruit, especially bananas, in any way. No matter what you may hear about bananas being bad, I have seen them save lives. Restricting your fruit intake is like refusing to feed your brain what it needs to truly heal. In truth, someone with bipolar or another neurological illness requires far more glucose to support the brain than someone who has no health issues. Fruits as meals, snacks, and alongside greens throughout the day are very important. Potatoes, sweet potatoes and squashes with your evening meal are also incredible. Any kind of young greens can be amazing tools against bipolar disorder. Eat sprouts and microgreens of all kinds because the mineral salts in them have a different healing quality when they are in that stage. Baby spinach, radish sprouts, broccoli sprouts, and kale microgreens are examples of amazing vegetables you can put into your salad, juices, or smoothie to help in recovery, or simply top steamed potatoes and baked sweet potatoes with a big handful. Also, include radishes and asparagus, which have unbelievable properties to fight bipolar disorder. Asparagus helps to repel new metals and toxins from taking up residence in the areas where heavy metals once were as you remove them through the heavy metal detox. Radish greens are one of the most powerful leafy greens on our planet and also help to remove heavy metals. Read more about the healing properties of these foods in Life-Changing Foods. Keeping your fats low, as I have discussed above, is essential. If you eat animal foods, try to reduce your intake to once a day or every other day because they are some of the highest sources of fat. If you’re vegetarian, it’s important to remove eggs and dairy in your diet (read why in any of my books). If you are vegan, try not to overdo too many plant sources of fats such as avocado, coconut, nuts, and oils. While these plant fats are not bad foods, in fact they can be quite healing, you want to be mindful of your intake because too much fat in your system makes it harder for the toxic metals to leave your body. Additionally, by keeping your fat intake low, you are creating more room on your plate for the most healing foods like fruit, potatoes, vegetables, and leafy greens, not to mention your heavy metal detox foods or smoothie every day. As with any type of supplement regimen, it is largely about personal preference and what works for each person. Because everyone’s bipolar disorder is different, so will be the supplements that work for them. It can be helpful to work with a skilled practitioner when beginning to work with new supplements to discuss dosages. Also, when purchasing supplements, be sure to purchase ones without alcohol. Supplements that can be helpful for for bipolar disorder are the right kind of B12, a good B complex, and methylfolate, which is helpful for the brain and central nervous system. I also like magnesium l-threonate. Other helpful supplements include 5-HTP, California poppy, Ester C, and zinc sulfate. Knowing what is wrong gives you freedom. If you have been struggling with bipolar disorder, you may have felt lost because the answers that were given to you in the past did not leave you hopeful for a better future. Maybe you have been hearing countless explanations about why you are sick and the solutions being offered in tandem do not seem to result in true healing. Or perhaps you keep getting the same answers from different people but you are still sick. With the information in this article, you will be able to take real steps toward healing every single day. That is what it looks like to have real answers. I have seen good people live in misery, which is why I care so much about getting the truth into your hands so you can take the necessary action to detox from heavy metals and experience healing. Do as much as you can today and try not to beat yourself up over imperfections. Find community in your lifestyle adjustments by doing it with family members or making friends with those on the same protocol. Healing is possible when you have bipolar disorder, no matter how long you have had it. I have found that baby steps are what keeps us going. Try to think of it like with each bite of healing food and with each supplement you take, you are that much closer to recovery. Healing takes time so take it one day at a time and keep moving forward. And remember above all that you are not alone in this. I am with you and believe in you. Many people experience acid reflux or heartburn throughout their lives and don’t understand why they feel the burning sensation reach up through their chest and into their throat. Medical communities blame acid reflux on gastric acid and hydrochloric acid backing up into the esophagus. However, this theory of the cause is unfounded and limited in its understanding as I’ll explain in this article. The digestive system is such a mystery that most of the time when physicians treat patients for illnesses, their practices are based solely on theory. In truth, even the understanding of how enzymes, assimilation, digestion, and absorption work is all just theoretical. While all these functions exist on some level, all research and science can do at the moment is conjecture theory as to what they do and how they cooperate with the digestive process. Nobody actually understands enzymes. Nobody actually understands what happens when food enters the stomach. For example, it is possible to experience pain from gas in the intestinal tract all the way near the neck and by the top of the shoulders, which can seem baffling because you may wonder how gas can travel to that area of the body (find out more about this in my book Medical Medium where I discuss ammonia permeability.) There is so much left for science and research to discover in the area of digestion, which is one reason there is so little helpful information on understanding and truly healing acid reflux once and for all. Acid reflux is also connected to a weakened liver. Typically weak digestion is due to an overburdened liver that cannot produce strong enough bile, which then forces the stomach to overproduce hydrochloric acid to compensate. This is extremely taxing on both of the organs and can then result in acid reflux. Find out why the liver becomes overburdened and how to heal in my book, Liver Rescue. Bacteria builds up, sometimes in the duodenum or sometimes in the bottom of the stomach pouch, and there is not enough hydrochloric acid to fight it off. The hydrochloric acid in the stomach is actually a complex blend of seven different acids, which are yet to be discovered. Medical communities currently believe, mistakenly, that hydrochloric acid is just one acid. I shared this in my book Medical Medium. If someone has a diminished amount of three of the seven acids in hydrochloric acid, a doctor or health practitioner will not be able to spot the problem because the truth is unknown in medical science and research. Healing acid reflux is not about taking a magic pill. Just as with the other conditions I have illuminated in my books, truly healing acid reflux takes a lifestyle shift in order to heal the true root issue. When healing acid reflux, there’s three goals: build up hydrochloric acid, kill off the unproductive bacteria like streptococcus, helicobacter pylori, or e. Coli, and strengthen the liver. As I will discuss below, all three of these things can be achieved with some dietary changes. There are some really helpful supplements to take, as well, that are powerful bacteria-fighters. However, the main shift will come with diet. Please don’t be confused, this is not a biased attack on eating animal protein, but it’s helpful to lower the amount of animal proteins you consume while healing because of their inherently high fat content. All animal meats are high in fat, even if it has no skin and is not fried. This may be surprising because you might have been told for so long that eating chicken breast without the skin or “lean” cuts of meat will help you lose weight due to it being made mostly of protein. However, that is simply not true. Fat is all throughout the chicken breast and other “lean” meats, even if you make it in the cleanest way possible. By lowering your fat content through reducing your animal protein, you will give your liver the break it deserves. Having to process a high-fat and high-protein diet all day is incredibly exhausting for the liver and forces the stomach to overproduce hydrochloric acid to compensate. This applies to any diet you follow and foods you consume, not just animal protein. If you’re eating a vegetarian or plant-based diet and are experiencing acid reflux, you’ll also want to lower your fat intake by reducing the amount of nuts, oils, and other high fat foods that you consume. Lowering your fat, no matter what diet you’re on, is an essential step when wanting to heal acid reflux. I discuss the true unknown impact of our fat intake on our health and how the liver operates and responds in my book Liver Rescue. Now that you know the truth about what’s behind acid reflux and heartburn, you can take the steps needed to reduce and heal these conditions. If you are able to do one thing to improve your health today, celebrate that success and look forward to tomorrow when you can take another step toward healing. Focus on lowering your fat intake and drink celery juice every morning as you can. Enjoy plenty of vibrant, healing fruits and delicious salads. I have helped so many people over the years heal from acid reflux and heartburn from these simple lifestyle changes, and you too can experience healing and relief from this condition. Since gold was discovered, it has had a magnetic pull on us, one that goes far beyond any monetary worth. As a child, did you ever wish for a gold star on your paper at school? It wasn’t because you could take it to the pawn shop and get cash for it. You yearned for that cheap sticker because of what it represented: achievement, worthiness, approval. If you have a grandmother’s favorite locket or ring, again, it’s not the dollar figure behind that gold that gives it a special place in your heart. It’s the spiritual meaning: appreciation, nostalgia, loyalty, love. And do Olympians go for the gold because of the market value of the metal? No, they spend their whole lives training to win because of what the prize stands for: blood, sweat, tears, spirit, will, intention, and sacrifice that come together into a moment of human greatness. When spiritual and emotional meaning are connected to a piece of gold or other treasure, its worth is on a level above price tags. The Knights Templar went searching for the Holy Grail not because of the money they’d get for this gold vessel but because of the mystical significance it was said to hold as the cup Jesus drank from at the Last Supper. Though the knights turned up hundreds upon hundreds of gold cups, they were cast off as worthless because they didn’t hold the power. It was all about the spiritual meaning. I’m here to tell you that you don’t have to go on an epic quest, earn anyone’s approval, inherit a family heirloom, learn to high-jump, or have an overflowing bank account in order to claim the world’s most precious treasure. Gold, platinum, diamonds, sapphires, the Holy Grail, the Ark of the Covenant, Noah’s ark, even the Beatles’ lost album—none of these hold a candle to your soul’s gold and gems and jewels that you already carry inside of you. Yes, you. I know it’s been a struggle to deal with health problems or great loss or hardship. I understand what you might have suffered as you wondered if you were aging before your time, if your thyroid was calling it quits, and if your body was giving up on you—or even working against you. I can only imagine what you’ve gone through in your search for answers. It’s probably left you defeated at times, lonely, despairing, and doubtful of your own worth. Know this: It’s not your fault; you didn’t deserve any of it. You didn’t create your illness or imagine it. You’re not a bad person. You can heal and move forward. All that time that symptoms were limiting you, they were giving you something, too. That compassion you gained from being vulnerable, that wisdom that came from watching life at a distance, that faith that there had to be an answer, that supreme patience of putting one foot in front of the other—these are yours to use for the rest of your life. Losses, struggles, wounds, suffering, pain, sorrow, fear, hardships, trials, letdowns, and battles are not what any of us would choose. When they visit us, though, we get our greatest tools and treasures. Those tools and treasures can be heavy. To be in touch with the world’s suffering is not easy. Just like a bag of diamonds and gold, it can weigh you down. Which is why it’s time for you to come into the spiritual significance of your challenges—because when you attach spiritual meaning to your treasures, it makes them light as light itself. You’ve been picked out of the crowd as a special person who can change the world. Because you hold power, illness tried to hold you back. You probably experienced symptoms along the way, and this may have gotten you labeled with a whole bunch of different names for what was supposedly wrong with you. Yet the plan of you being picked on backfired. Instead of being constrained, you were pushed forward and forced to grow and develop in your soul and spirit. You gained understandings and insights that brought you closer to God. Now you get to rid yourself of your illness and all those symptoms and labels that have come with it. You get to heal, rise above, and reclaim your power—power that’s more than you know. As you bring your body back to health, you’ll be supporting it even more in taking care of your soul’s wealth—wealth you will use to spread divine light to everyone around you. No matter who you are or where you come from, what you’ve done or think you have not done, know that through the true living words in this book, Spirit and I will always be there for you. Remember: You are a world changer. Spirit and I see and hear you. We believe in you. We stand beside you. And we can’t wait for you to experience what’s next. Acid reflux is also connected to a weakened liver. Typically weak digestion is due to an overburdened liver that cannot produce strong enough bile, which then forces the stomach to overproduce hydrochloric acid to compensate. This is extremely taxing on both of the organs and can then result in acid reflux. If you or someone you love has acid reflux, it’s very important to understand how the liver really works and how to support it. I cover this in detail in Liver Rescue. Bacteria builds up, sometimes in the duodenum or sometimes in the bottom of the stomach pouch, and there is not enough hydrochloric acid to fight it off. The hydrochloric acid in the stomach is actually a complex blend of seven different acids, which are yet to be discovered. Medical communities currently believe, mistakenly, that hydrochloric acid is just one acid. I shared this in my book Medical Medium. If someone has a diminished amount of three of the seven acids in hydrochloric acid, a doctor or health practitioner will not be able to spot the problem because the truth is unknown in medical science and research. If you or someone you love have been diagnosed with an autoimmune disease, chances are you’ve been told that your body is attacking itself. Hearing this probably stripped you of hope that you can heal and left you feeling betrayed by your own body. Today there are countless mysterious diseases that have been labeled as autoimmune conditions. But the problem is that the concept of autoimmunity is inherently flawed and this mistaken theory only hurts you and your loved ones in the end. Surprised? When we believe our own bodies are attacking themselves, we are unknowingly hindering our healing process. Our immune systems can weaken in the absence of this truth: Your body never attacks itself. It’s always working for you and loves you unconditionally. It’s never been more critical for you and your loved ones to know and feel this truth in your heart. It will greatly support you and those you care about to heal. When medical science and research do not know what is causing symptoms, such as mysterious rashes, mysterious dizziness, mysterious fatigue, mysterious aches and pains, or mysterious inflammation, it gets labeled as an autoimmune issue. This is a mere theory that was initiated in the 1950s and has since been grandfathered in to modern medicine and collectively agreed upon as law. There was a discovery of an antibody but no one had any idea of what it was or what it was for. There were theories and ideas of what it was, but they were just that: theories. One of those theories was that the antibody was there to destroy healthy cells. This theory came about because researchers didn’t have an answer as to what was causing chronic illnesses and symptoms or even an answer to what the antibody was for. Instead the blame was put on those with chronic illness and our bodies became the scapegoat. Better to blame it on our bodies than to blame it on the medical industry and research and science not having the answers. The theory of autoimmune conditions and diseases became a catch-all explanation for dozens of conditions and symptoms that medical communities don’t yet have answers for. When someone is diagnosed with Hashimoto’s, they are told their body is creating antibodies that are destroying their thyroid tissue. With eczema and psoriasis, you will likely be told your body is attacking your skin. If you have lupus, you will likely be told your body is attacking itself and that’s what creates all the inflammation. This same theory is used for countless other chronic illnesses. This is the best explanation that modern medicine has to offer about mysterious diseases today. It’s never been more important for you to know this isn’t accurate because it affects your ability to heal. Not only are you given incorrect information about your health problems, you’re also told your body has turned against you when nothing could be further from the truth. The information I am sharing with you here is meant to free you of the misguided notion that your body would ever attack itself and to reveal the true cause of mysterious diseases that have been labeled autoimmune disorders. In my book Thyroid Healing I cover how and why this autoimmune confusion exists today in great detail, along with other great mistakes that have been made in medical communities that are holding so many back from complete healing. If you have an illness that has been labeled as an autoimmune disease, your body truly is attacking something, but it is not attacking itself. As I said, your body is working for you every single day. It works tirelessly for you and is doing the very best it can. When you are sick and have mysterious symptoms, such as fatigue, butterfly rashes, dizziness, tremors, vertigo, aches and pains, digestive trouble, weight loss, insomnia, weight gain, memory loss, numbness, tingling, blood sugar issues, brain fog, mood swings, night sweats, loss of appetite, and many others, it means there is an invader in your body. The same is true if you have lupus, Hashimoto’s, Grave’s, Addison’s, Type 1 Diabetes, colitis, vitiligo, celiac, eczema, Graves’, chronic fatigue syndrome (CFS), myalgic encephalomyelitis (ME), rheumatoid arthritis, fibromyalgia, Lyme disease, multiple sclerosis, parkinson’s, alopecia, or any other disease that is considered to be in the autoimmune category. There is a pathogen invader in your body that it’s working hard to attack and get rid of. Modern medicine has yet to come to this conclusion about mysterious illnesses due to a few reasons. First of all, this theory about the body attacking itself has become law inside the minds of well-intentioned doctors and health professionals who are just doing their best to provide care for their patients. No one is willing to question it because they have come to believe it is the truth, even though there is no evidence backing it. Another reason is because there is no incentive to look into these mysterious diseases. When there is already an acceptable answer that seems to fit, there doesn’t appear to be a need to spend more money on research that they assume will get them nowhere. And finally, even if doctors were to seriously look for these pathogens in their patients coming into their offices with a long list of mysterious symptoms, they would come up dry. Most tests the blood lab offers cannot detect the viruses and bacteria that are invading so many people and causing so many conditions and symptoms. Many of the pathogens causing autoimmune labeled illnesses are yet to be discovered and classified; therefore, it would be quite impossible to detect. You can’t find something when you do not know what you are looking for. For example, medical communities believe there is only one Epstein-Barr virus (EBV)—the virus that causes mono—but in truth there are 61 strains of EBV that cause all kinds of different symptoms and illnesses. I revealed this truth in my book Medical Medium. You can read more about EBV and how it creates illnesses, including cancer, in my book Thyroid Healing. If the medical industry was willing to put more money into researching pathogens, it would be more likely that answers would be coming out in literature today. Viruses and bacteria would be called by name and accurate tests would be created and administered. However, the most popular answer medicine has at the moment is that the body is attacking itself and as I have shared, this is not the truth. The second most popular answer is that it’s your faulty genes causing disease, which is a theory that’s quickly on the rise and still not the answer. In fact, people are told their body is attacking itself and that their genes are the problem. The biggest barrier obstructing your path to true healing is this belief that the body is attacking itself. It may have been ingrained into you not only by your medical practitioners, but also by what you read on the Internet. You are told there is very little you can do to manage your symptom or condition, and nothing you can do to reverse it. This is a lie and something that should be discarded immediately not that you know the truth. Know this: Your body is not attacking itself. I have already said it multiple times in this article, but I must say it over and over until we all understand it deep within our beings. It’s that fundamentally important. Your body is not self-destructive. And your body is not searching out healthy blood cells to harm and kill off. In fact, your body is doing the opposite. Every day your body is working for you. It is on your side. Your immune system cannot do one thing to harm a single cell in your body. It has never been able to do that, and it never will do that. When we know this deep within our being and replace the lie with this truth, something begins to change. That barrier that was once in your way is obliterated, and your path to healing becomes clear and unhampered. It may seem like a small switch, but it is in fact very significant. When your mind is aware that it is a pathogen you are going after, a revelation clicks into place and your body begins to work even more efficiently to kill off that virus. Your immune system fires up and kicks into gear to work for you even harder. This is essential to understand. The power of knowing the truth cannot be underestimated, especially when it comes to healing from these diseases that have plagued so many people for so many years. If you know your body is working for you, it works for you even more. Recovery is finally possible when you are armed with real information that is not hiding behind funding agendas and the bureaucracy of the medical world. This simple understanding sends a message to your body to start breaking down the pathogen fast. And when you start robbing food from the pathogen, which I discuss in the section about healing foods, recovery is even faster. There are many medical professionals these days that are offering advice on how to manage your autoimmune disease. Some of this advice discusses “triggers” related to your illness but ironically it’s not even the correct triggers. For example, some experts are just beginning to say that EBV is a trigger for thyroid disease. This is because the never before known information that I have released has forced experts to look at EBV as a possible concern, but this has only led these experts to say that EBV could be a trigger. But in fact, EBV is not a trigger, it is the direct cause. This is a critical distinction that must be understood. The reason we need to make a distinction between trigger and cause is because when we just manage our illness by avoiding triggers, we are not actively fighting the pathogen and addressing the root cause. And if today’s medical professionals and experts believe that EBV is possibly just a trigger but have no idea how to rid the EBV out of the body, then they’re not helping people to heal. We want to do everything we can to kill off the virus invading our body. When we simply just avoid triggers, for example gluten, the virus that’s really behind your suffering can cause further issues. And obviously, we want to do everything we can to ensure the pathogen does not proliferate and cause more symptoms again. Plus, not all triggers can be avoided. We all eventually lose a loved one for example, and the grief we experience can trigger illness if the cause hasn’t been addressed. Or we’re not choosing the right triggers we can avoid. When we recognize the true cause of our illness, we can start to move toward true and total recovery, which is something I’ve witnessed tens of thousands of people doing over the years with the information I’ve shared, and now many more. Let’s take a look at some of the illness labeled as autoimmune diseases and conditions. Medical science and research are unaware that lupus is a viral condition, specifically it is the body reacting to Epstein-Barr’s byproducts and neurotoxins. Medical science and research are completely unaware of this true cause. In fact, lupus is not even diagnosable. It is only visibly diagnosed by inflammation markers. I share more about the undiscovered true cause of lupus in Thyroid Healing. With this autoimmune labeled condition, EBV is in the body feeding on high levels of toxic heavy metals. It is not always lesions on the brain that are causing MS symptoms. Many people have spots that show up on brain scans, and they do not have any of the symptoms related to MS. There is so much that is going on in people’s brains: calcifications, crystallizations, dark spots, white spots, heavy metal deposits, MSG deposits, and chemical solvent stains. This does not mean someone has MS. What is actually causing the MS is EBV in addition to the heavy metals—a truth that medical communities are unaware of. EBV is also the true cause of Hashimoto’s thyroiditis. The thyroid becomes inflamed because the virus has infected it. Your immune system is not going haywire or out to get you. It’s this virus that’s causing the damage and making you feel miserable. Your body just needs the proper support, which I describe in Thyroid Healing, to triumph over the virus. Celiac is not a genetic disease. It is inflammation in the intestinal lining from streptococcus bacteria. Medical communities believe that celiac is an autoimmune condition and that it’s limited to a sensitivity to gluten. Rather, wheat gluten is one trigger to this inflammation of the intestinal tract by feeding the strep bacteria in there. Type 1 diabetes occurs when there is an injury to your pancreas. If you have type 1 diabetes, at one point some of your pancreatic tissue was injured from a viral condition or toxic bacteria. Your body is not attacking your pancreas. In Grave’s disease, a mutated variety of EBV is causing inflammation, which is scarring the thyroid. There are specific unknown varieties of EBV that prompt the thyroid gland to produce more tissue and, as a result, more thyroid hormones. Find out more about Grave’s in Thyroid Healing. All versions of hepatitis are viral conditions from the herpetic family, mainly the Epstein-Barr Virus. They are at different stages of what the virus is doing to the liver. Autoimmune hepatitis is a mistake all on its own because medical research doesn’t actually know the true cause of these conditions. They merely see inflammation and antibodies and make the conclusion that the antibodies are going after the liver. However, the immune system is creating these antibodies to help you go after the virus. Many varieties of mysterious skin rashing is from the shingles virus. Specifically, eczema and psoriasis can be a combination of EBV and shingles, both in the liver, feeding off of high levels of copper and DDT. The reason mysterious skin rashing does not get diagnosed as shingles is because when something does not look like textbook shingles, they would never think to call it that. However, what modern medicine is unaware of is that there are over 31 varieties of the shingles virus that they have yet to discover. Therefore, it would be impossible to diagnose it as such without further research. Ehlers-Danlos syndrome is another example of an illness that has been labeled as autoimmune simply because medical professionals are unaware of the true cause. The truth is that this condition is caused by a virus that’s injuring connective tissue; it’s not genetic. The aches, pains, tenderness, fatigue, and stiffness of fibromyalgia are a result of EBV’s neurotoxins creating chronic inflammation of both the central nervous system and nerves throughout the body. Knowing the true cause means that you can begin to implement the steps needed to allow for healing. You can find out more about fibromyalgia and many other autoimmune diseases and condition in Thyroid Healing. Now that you know that your body is not attacking itself, but rather that it is attacking a pathogen in your body, you can move onto the next step toward healing. The next thing that’s important for you to know is a truth about viruses that science has yet to discover: viruses eat. Modern medicine is still oblivious to the fact that viruses must eat in order to grow and proliferate. Without their favorite foods, viruses will die. Therefore, logically we must know which are their favorite foods and eliminate them from your diet so the virus can exit your system, leaving you free of your symptoms over time. As an example, eczema is due to a virus in the liver. And that virus feeds off certain foods, which then creates an internal dermatoxin that leaches out from the liver, goes into the bloodstream, and then surfaces through the skin. When you know this is the real cause, you can take away the foods the virus likes best. In my book Thyroid Healing I explain in depth how the Epstein-Barr virus feeds, what it feeds on, and how it excretes when it feeds. For example, EBV feeds on toxic heavy metals, as well as all pesticides, including old ones such as DDT stored in the liver, and certain foods we eat. In the book, I explain the entire process of this particular virus as it feeds, excretes, develops, and continues to feed. Viruses love to feed off of heavy metals, such as mercury, arsenic, cadmium, lead, nickel, alloys, steel, aluminum, and copper, that are in our systems, including in our liver. Heavy metals are not the cause of your autoimmune labeled disease. They simply feed the viruses that are the cause. The good news is you can take active steps to eliminate these metals from your body by eating the five heavy metal detox foods I recommend every day within a 24-hour period. These foods are wild blueberries, spirulina, barley grass juice extract powder, cilantro, and Atlantic dulse. All five of these foods work together to slowly eliminate the heavy metals. Find out how you can incorporate these foods in Thyroid Healing. Many people believe chlorella is actually better for you than spirulina, but chlorella simply does not eliminate heavy metals the way spirulina does. Chlorella drops the metals instantly, while spirulina holds onto them and in tandem with the other key foods, effectively aids in the process of removing them from the body. Eggs may be considered the perfect food in some circles, but in reality, they are the perfect food for viruses. They essentially incubate viruses, making them stronger and more aggressive. Stay away from eggs if you have a disease that is labeled as autoimmune, especially lupus and PCOS. Unknown to medical communities, eggs are disastrous for those who have ovarian issues. Eggs feed every single virus and bacteria that create conditions that are thought to be autoimmune diseases. Even if you are eating cage-free, natural eggs, these still act as food for pathogens. Viruses look for egg material in the body to feed on. They feed on the natural hormones that are in eggs, which act as a steroid for the virus. It does not matter what kind of eggs you get because unfortunately all eggs feed viruses. In a very similar way, all dairy products feed viruses. Some doctors are knowledgeable about the allergy concern of eating dairy, but we have to recognize that simply eliminating dairy is not enough. We need to understand why we are eliminating it. It’s critical to stop eating foods like dairy and eggs if you have any symptoms or a chronic illness so that they do not continue to feed the pathogens that are causing your symptoms. It is also a good idea to stay away from all corn products and canola oil. These are in almost every packaged food out there, even organic ones, so be mindful of what is in the ingredients list. If it is intimidating to you to avoid these ingredients that seem minor, think of it this way. The more fresh fruits and vegetables you include in our diet, the more apples, sweet potatoes, salads, bananas, and squash, the less room you have in diet for processed foods that likely contain ingredients you are trying to avoid. Think of crowding out your plate with so much good stuff that the packaged foods simply do not have as much space. Also, the more fresh fruits and vegetables you eat, the more you crave them. Keeping this in mind will help you increase your whole foods intake because you know that the more you do it, the easier it will get. It’s also helpful to reduce animal protein while you’re healing because, again, we need room for the fruits, leafy greens, and vegetables, the secrets weapons, as I like to call them. If you like to eat animal protein, try not to eat it three times a day. Instead eat it once a day and find other filling options to enjoy. Instead of chicken on your salad, add black beans, avocado, sweet potato, or hummus. Instead of bacon with your toast, bake potato fries with lots of herbs of spices. And when you do eat animal proteins, choose the cleanest meats possible. Wild fish is one of the better choices. When healing from chronic illnesses and symptoms, it’s helpful to minimize added fats in the diet to allow the liver to cleanse and toxins and viruses to be most effectively purged from the body. One easy way to cut down fats is to stay away from or minimize oils, even olive oil and coconut oil. A small drizzle here or there is fine, but do not overdo the oils. The same goes for other fat sources like nuts for example. Eat just a few with lots of fresh veggies versus having a large portion of nuts. There are so many amazing powerhouse foods that you can eat in order to give your body an extra boost when fighting off pathogens. The first group we can focus on is cruciferous vegetables. There is a misconception circulating around that cruciferous vegetables, also called brassicas, are harmful because of the goitrogenic compounds in them. We are being told to stay away from kale, broccoli, cauliflower, and brussels sprouts, but this is a misguided and unproductive trend. These foods are actually incredible for anyone with an illness that has been labeled as an autoimmune disease, including thyroid conditions. Cruciferous vegetables cannot harm you. They contain phytochemicals that actually fight the bug you are trying to get rid of. These foods can be some of your greatest allies in your path to healing, and it would be wise to include them, both raw and cooked, on a daily basis. Straight cucumber juice is something that can be included daily in order to flush out toxins from the body. Straight celery juice is also important to include because its mineral salts clean up the liver, build up hydrochloric acid, and strengthen bile so you can break down bacteria and viruses in the intestinal tract that cause conditions like colitis, celiac, and crohn's disease. I share recipes for these foods and juices in my book Thyroid Healing. Include plenty of squash in your diet. There are so many delicious varieties to enjoy, such as butternut, kabocha, spaghetti, and acorn. Also, remember to eat lots of fresh herbs like cilantro, rosemary, and thyme. Eat plenty of salads with red leaf lettuce, butter lettuce, arugula, parsley, and radishes. Radishes are a miracle food when fighting off pathogens. Radish greens kill off viruses, and the radishes themselves push poisons out of the body and support the thyroid. Eating plenty of fruit is one of the best ways you can support your healing. If you are afraid of fruit, know that fruit cannot feed candida and fruit sugar isn’t bad for you. It’s the opposite—fruit is the most healing food on earth! So eat plenty of apples, bananas, oranges, and berries. Melons are wonderful for flushing out poisons that the virus creates. Bring in more tropical fruits like papaya, pineapple, and passionfruit if you are able to find them. Eat the fruits that are in season like pears and persimmons in the fall and peaches and plums in the summer. Fruit is an amazing antiviral food that is essential to include when you are fighting a pathogen such as Epstein-Barr virus that is causing your mystery illness. Bananas in particular are great for killing off pathogens in the intestinal tract. If you fear fruit, check out my chapter on Fruit Fear in my book Medical Medium. Another power food that is worth seeking out is dandelion greens. These are often sold at farmers markets and health food stores among other greens like kale and collard greens. Dandelion greens are particularly supportive for the liver because they work to push out poisons that are created from a virus or bacteria. There are so many wonderful herbal teas to include, as well. Nettle leaf and lemon balm are two particularly powerful ones that fight viruses. There is a phytochemical in lemon balm that helps you go after the virus you want to kill. Many people know that nettle leaf tea is anti-inflammatory, but they do not know why. The reason is because it’s killing the pathogens that are creating the inflammation in the first place. When you are drinking your herbal teas with this knowledge, the properties become that much more powerful. In the same way, people are aware that turmeric is anti-inflammatory, but they do not know why. Turmeric has phytochemicals that are poisonous to the bugs that are inflaming people’s joints and backs. This herb is attacking viruses and bacteria. Incorporating supplements is critical to fighting off the viruses that are causing your autoimmune disease. As I always recommend, talk to your medical practitioner before you begin taking supplements so you can work together to find the right dosages. Bring your doctor this information and work together to fight the virus with these powerful herbs and supplements. Be sure to get the right supplements. I have a list of preferred supplements that you can find on my website. Zinc deficiencies are rampant and can trigger an autoimmune condition. Simply taking zinc can be a huge step toward healing and can be critical for anyone suffering from the symptoms associated with autoimmune diseases. When you take zinc sulfate, it goes directly to where the virus is and starts working on stopping it in its tracks. Additionally, zinc increases your immune system’s ability to fight. Many people are recommending B12 today, which is good. However, there is still very little talk about the right kind of B12. When fighting a viral condition, it is essential to use a combination of both adenosylcobalamin and methylcobalamin. Including a methylfolate supplement along with this specific B12 is especially helpful. When fighting a viral condition, it’s important to include some vitamin c supplements, particularly the liposomal c. The Liposomal c I recommend on my preferred supplements page does not contain any corn, which feeds viruses, unlike other brands. Ester C is also very helpful. Licorice is another important one to include because it is antiviral. This supplement can aid your body in knocking down the virus, particularly EBV, that is causing your illness. L-lysine is a foundational amino acid that hinders and stops herpetic viruses. It is possible to have a very high dosage of l-lysine. but talk to your doctor first to come to an agreement together. As you stop believing that your body is attacking itself and start believing in the truth that your body is attacking a pathogen, you will begin to turn the tide. And as you progressively remove the foods that feed viruses and bring in the foods that fight viruses, you will begin building a strong foundation for healing. As you begin to include more antiviral, immune-supporting supplements, you are giving your body that much more power to fight the pathogen that has caused your autoimmune labeled disease. I do not prefer to use the term autoimmune when speaking about conditions such as Hashimoto’s, celiac, lupus, or any of the other illness I have touched on above. Autoimmune is an incorrect label because your immune system is not attacking itself; your body is not turning on you. I use the term autoimmune because it is what we are all familiar with. It is the easiest way to communicate about these conditions. The real term for these conditions should be ‘viral immune’. Keep in mind that if I did not mention your autoimmune disease, your body is still not attacking itself. It is directly related to an invader in your body that you need to eliminate. It is not a genetic issue that you have no power to fix. This information I have shared today is here to empower you. It is ahead of research and science and is there as a beacon of light for you and your loved ones. You can heal and reverse your symptoms. You can walk without pain. You can wake up with energy. You can get your weight back on, or get it back off. You can watch your skin’s rashes fade away as new, unblemished skin is taking its place. All of these things are possible. All of the healing methods above will work together to get your life back to what it was. The goal is to one day be free of symptoms and free from countless doctor’s visits every week. Just remember to be compassionate with yourself, and take one step today and then another step tomorrow. I support you completely.